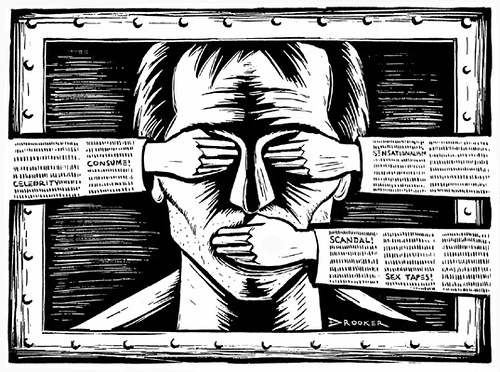 The censorship of Kashmir related content from social media, particularly by Facebook has become common, the ban on Free Press Kashmir being the latest in this series. Has democratisation of media become a farce? On December 14, the social media page of Free Press Kashmir was banned from publishing by Facebook. According to the editor of the weekly news magazine FPK, they received a notification saying “the page has been unpublished.” There were no prior warning or notification given and the local news website was abruptly barred from posting anything on their social media platform. “Even right-wing pages which have been calling for genocide of Muslims in general and Kashmiris in particular, have been functioning perfectly well on Facebook. While almost all big media platforms who recently shared a fake image have not been flagged for fake news, and most right-wing organisations have been given a free hand, it is absolutely deplorable that small news organisations and alternate media is seeing censorship, left, right and centre,” wrote Qazi Zaid. Meanwhile, the page has been restored after 48 hours. “At around 6.30 PM, after Lost Kashmir History posted a document detailing the deaths in Kashmir in the month of October, I got a few texts informing me that the Facebook page of LKH has been banned. Although, the page was intact and I could post stuff, accessibility to audience was curtailed. The page had more than 70k followers. This is not the first time that Facebook, in collusion with the Indian state, has removed content related to Kashmir. I have lost count of how many times my Facebook profile has been either blocked temporarily or content removed because apparently, it doesn’t fit into their community standards,” said LKH editor Zulkarnain Banday.